Nashville, TN – The Tennessee Wildlife Resources Agency (TWRA) has announced its 2018-19 winter trout stocking schedule. TWRA plans to release approximately 90,000 rainbow trout into Tennessee waters beginning in late November through March. The program provides numerous close to home trout fishing opportunities for anglers during the winter months. These fisheries also provide a great opportunity to introduce children or first-time anglers to fishing. There are 43 locations for this year’s winter trout stocking program. The trout will average about 10 inches in length. The daily creel limit is seven, but there is no size limit. Anglers are reminded that a trout license is needed in addition to the fishing license. Please note that the dates and locations are subject to change. 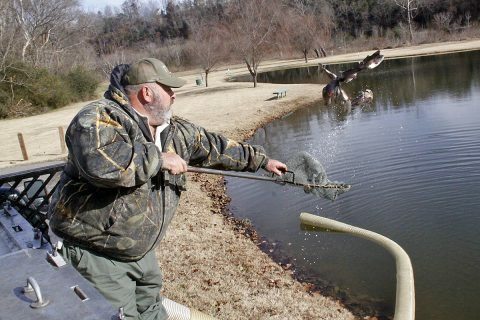 Updates can be found on TWRA’s website at www.tnwildlife.org. For areas not listed in this program, see the 2019 stocking schedule and tailwater schedule on the website.